Supplementary material reads: "Photo assignment for Friday February 1 at 2:30 p.m. Pls. 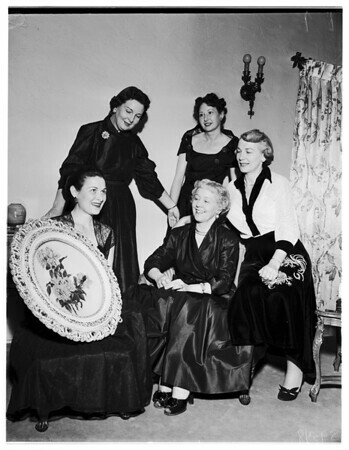 go to 15452 Valerio St., ST 53027, near Sepulveda in Van nuys, home of Mrs. Hunter, get shots of Valley Committee of the Philharmonic Ork women. Candid, three and five cols. Contacts Monday. Thanks, Carter Ludlow".